Moenchengladbach/Germany, October 29, 2018 – The eagerly awaited King Crab DLC for Fishing: Barents Sea now has a final release date: On November 7, astragon Entertainment and developer Misc Games will release the exciting expansion which will set out fans of the high seas to the big adventure of king crab fishing. A closer look at the two new ships Selfy and Svalbard shows the new features coming soon to future crab fishers. The Selfy which is based on the ship models of Norwegian ship manufacturer Selfa Arctic AS is the first of the two new ships from the King Crab DLC. The reliable vessel is a true all-rounder in providing a smooth transition from regular fishing to the slightly different mechanics of catching king crabs. She can be equipped either with line and nets or crab pots and a sorting table. Her storage provides more than enough capacities for cod, shellfish, pollack and redfish. With over 500 hp and a maximum speed of 30 knots fishing lovers can still catch the whole range of fish from the Barents Sea before they fully head to the catching of the majestic crustaceans with the next ship of the King Crab DLC. 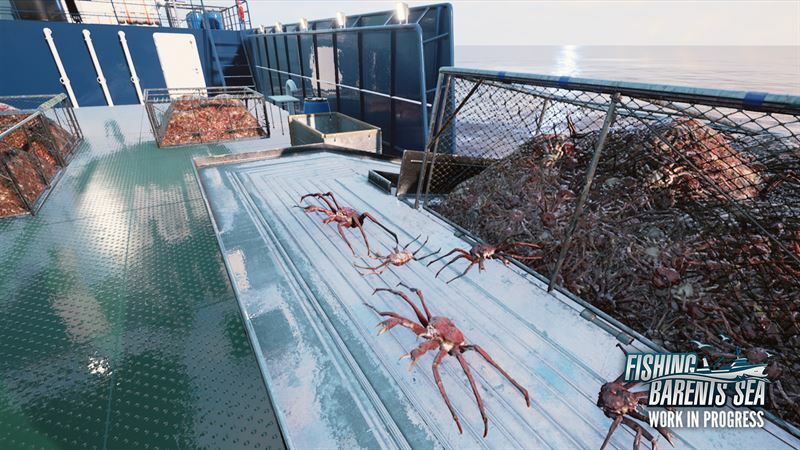 After learning the basics of crab fishing such as detecting the locations of crab areas and lowering crab pots into the sea, the second ship of the King Crab DLC is the very right choice for virtual fishers. With almost 55 meters the Svalbard is five times longer than the Selfy, equipped with significantly larger crab pots and exclusively designed for king crab fishing. Appropriately, a large and powerful crane for throwing out and hauling in the heavy crab pots is located on deck of the Svalbard. This beast with an 1125 horsepower engine is the perfect companion for making the dream of becoming a successful king crab fisher in Northern Norway come true. The King Crab DLC for Fishing: Barents Sea will be available on Steam™ on November 7, 2018 for 9.99 Euro/11.99 USD/8.99 GBP (RRP). The main game Fishing: Barents Sea for PC is already available in retail or as a digital download for 19.99 Euro/19.99 USD/16.99 GBP (RRP). King Crab DLC for Fishing: Barents Sea will be released on November 7!